Lush Fab Glam Inspired Lifestyle For The Modern Woman: The Best-of-the-Best from New York Fashion Week Spring 2012! The Best-of-the-Best from New York Fashion Week Spring 2012! 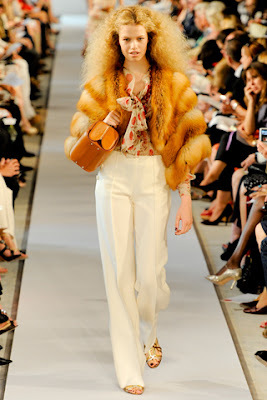 The Best-of-the-Best from New York Fashion Week Spring 2012﻿! 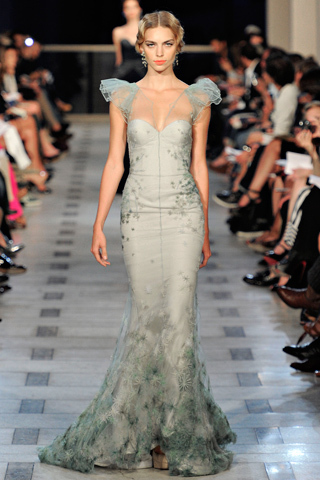 Now that New York Fashion Week has ended, we can't help but look forward to the day the Spring 2012 designs hits store shelves. Out of the myriad of runway shows and designer collections that we took in for fashion week, four designer collections stood out so prominently because of their creative genius and fabulous feminine style. Here are our picks for the 'top New York Fashion Week designer collections' from the best-of the-best that include designers like Oscar de la Renta, Marchessa, Ralph Lauren and Zac Posen. Oscar de la Renta: collection was young, fresh and re-inventive, while he gave us a few pieces of his signature tweed skirts and suits, all eyes were on his new ballroom skirts, knit/crochet dresses and frilly designs. 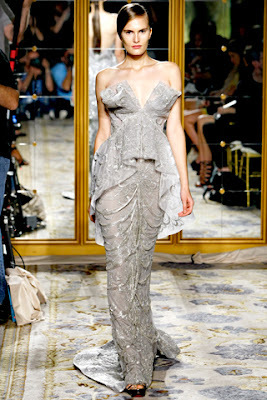 Marchessa: did not disappoint with their signature embellished, intricately cut and gathered gowns. Ralph Lauren: won us over with his 1920's 'Great Gatsby' themed runway show, especially the after dark sets that featured satin gowns and menswear inspired suits. 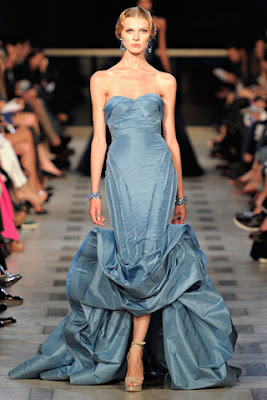 Zac Posen: our respect for designer Zac Posen's design grew immensely after we laid eyes on his 'Old Hollywood Glamour' themed collection, which featured beautiful mermaid gowns and sheers. If you missed our previous New York Fashion Week posts, click on the links to see more designs from 'The Best of New York Fashion Week Spring 2012' Part 1 and Part 2. Which designer collections for NYFW was your favorite? Leave a comment below. 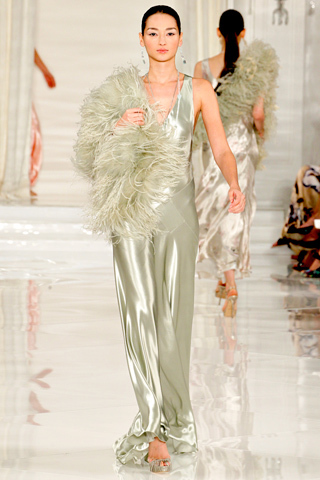 They are the best everyone was talking about the Ralph Lauren and Oscar de la Renta shows. Yea no suprise here Marchessa is a celeb favorite and it's obvious why, Oscar and Ralph are fashion legends. Wow Zac Posen nailed it this year, I think its the best. omgeeee they're all so pretty. Fashion heaven! The last dress is just wow!